Debra Tendrich is the Founder and CEO of a non-profit organization called Eat Better Live Better(EBLB). The mission of Eat Better Live Better is to combat and control childhood obesity by creating nutritional programs that create permanent change within families and communities. Debra was obese as a child and became an obese adult. Weighing almost 200 pounds and only standing only 5’1, Debra was diagnosed with high cholesterol and decided to make a shift into a healthy lifestyle. She dedicated 30 days to workout daily and to learn to eat healthy. During those 30 days, she fell in love with health and fitness, thus began her journey. Even though Debra lost 70 pounds and dropped her cholesterol by almost 100 points, she still believes the biggest transformation she made was the impact she made by influencing her daughter. Her new healthy lifestyle directly impacted her child and that gave her the inspiration to continue her journey. Her daughter, Amira, was borderline ADHD, and by applying the principles of EBLB and proper nutrition, all the symptoms disappeared. Since 2014, she has dedicated her time volunteering at schools and providing a tremendous amount of community outreach and service. She donated over 600 backpacks and school supplies throughout the Palm Beach County Schools, volunteers for Career Days, helps organize anti-bullying pep-rallies and speaks to students and teachers about fitness and nutrition. She also implements a program that transitions children, families and communities into a healthy lifestyle. Debra is dedicated to making a huge impact in the community and thrives to become a community leader to create a positive and permanent change in the overall health of the community. Not only is she implementing her program throughout Palm Beach County, she is also involved with several other organizations and always helps when help is needed. Currently, Debra sits on the Advisory Board for the FAU School of Social Work. She is a very active member of the Boca Chamber of Commerce and also an Ambassador. She recently became a Leadership Boca Graduate and enrolled in the GLASS Leadership Program through the ADL (Anti-Defamation League). She was honored by the Association of Women in Communications and is also an active member of the AWCSF. She was also awarded a Certificate of Community Service and Dedication by the Guardian Angels. To further her advocacy in the community, she became a mentor for the Viner Mentorship Program. Aside from youth and family health, Debra is a firm believer in women empowerment and recently joined 100 Women Who Care and is joining their South Palm Beach Chapter Committee. She is a published author in the Parklander Magazine to help raise awareness of childhood obesity and the community issues that are directly correlated to this catastrophic epidemic. Debra has earned the endorsements from several community leaders along with state and government representatives. 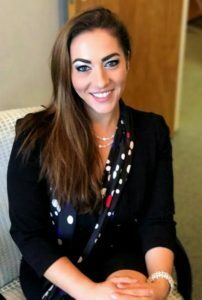 She is a volunteer public speaker to several youth organizations through the Palm Beach County Commission, like Future Leaders United For Change, and other organizations like the Upward Bound Program. Contracted by the City of West Palm Beach, Greenacres and Debra is currently implementing her program throughout the county and several other organizations. Her public recognition by The Palm Beach Post, Sun Sentinel, Boca and Delray newspapers and other publications about her positive impact in the community proves that Debra is leading by example by being a huge advocate and role model for the youth, families and communities she serves. 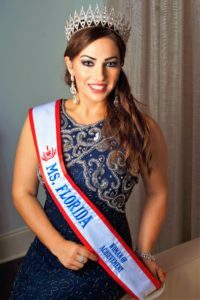 Debra Tendrich won the title Ms. Florida Woman of Achievement 2017 through the National Woman of Achievement Pageant System. She is competing for Ms. U.S. Woman of Achievement in Long Beach California in November 2017. Debra can be booked for guest appearances or special speaking events. If you’re interested in having Debra attend your event, please email her directly at info@eblb.org.